As an exciting close to winter break, the inaugural Sport Management Students and Professionals Meet Week, or S.P.M. 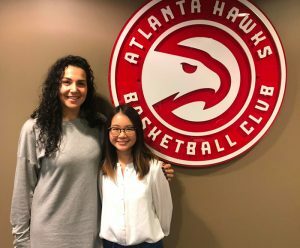 Week, gave sport management students the opportunity to learn more about careers in sport with the help of alumni who hosted them at their workplaces, including sports agencies, universities, and professional leagues and teams, from January 7-11. “I am very grateful to the Department of Sport Management for organizing this incredible opportunity for us,” she adds. Alumni hosts introduced the students to their industry and organization, providing an opportunity for the students to observe their daily responsibilities and ask questions along the way. S.P.M. Week is intentionally designed to be flexible, so each shadowing experience fits the interests of the student and their alumni host. Syracuse University’s Falk College offers professional degree programs in the Department of Sport Management which prepare students for careers in sports administration and business, marketing and sales, sport analytics, venue management and event planning, and more.